Made of the same food-safe, thick and pliable silicone as their straws and lids, these colourful ice-pop moulds by Greenpaxx double as snack holders to delight kids, but also anyone who likes to carry small snacks in a hygienic and tidy way. 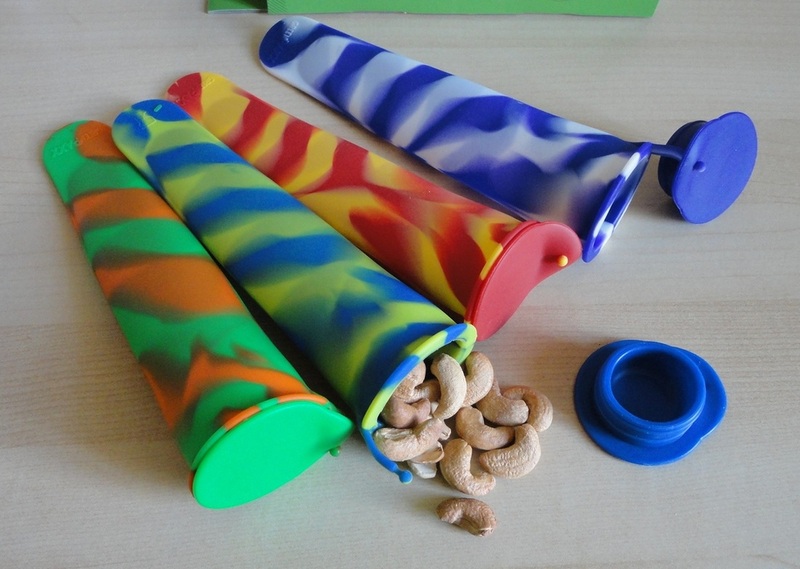 There are four differently-coloured cones in each package, so everyone can choose their favourite. The elongated shape might not correspond to your previous idea of what a snack holder should look like, but just try and carry one or two of these around in a small handbag, or big pocket, and you will soon see the benefit. The lid is designed to give a water-tight seal and a small, ingeniously-designed tongue secures a corner of the lid, so it remains attached to the cone when open, but can also be detached if needed for washing, or when the Slim Snack tube is being used to freeze yogurt or popsicles. I like to fill them with cashews and almonds, or even a home-made fruit bar for a quick energy snack that I can carry in any size handbag. If you dislike plastic bags, disposable wrappers, metal foil and the usual food container options, these cheerful, pretty tubes could be the answer. A sample product was provided to allow me to evaluate and review it. I have no hesitation in recommending them, especially for kids of all ages. There is something about using a straw that makes whatever you are drinking taste a bit better. I wonder if it is the physical delivery of liquid to a part of the mouth where different taste buds are located? In any case, I love straws. 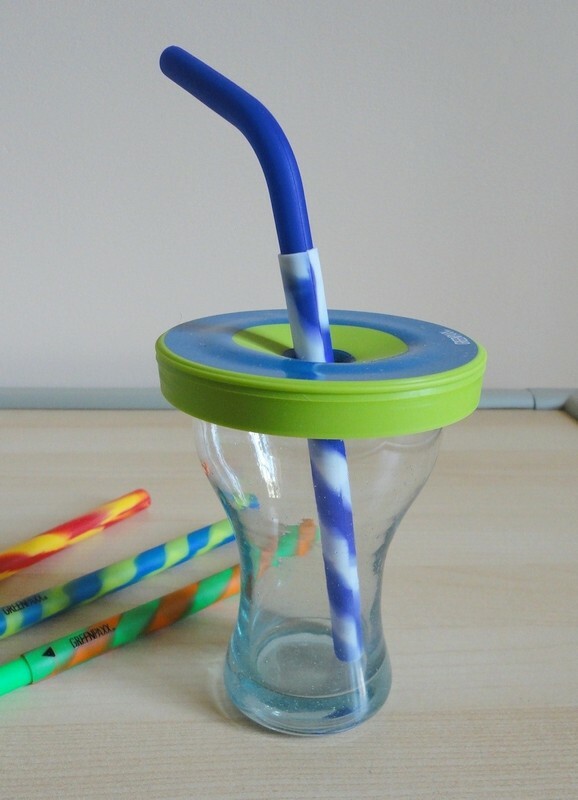 If you are concerned about generating a lot of unnecessary waste, these washable and reusable silicone maxi-straws will appeal to you. Each packet contains four in assorted colours (like the ones I received for my evaluation), or blue and green. They are ridiculously cute and look really festive just on their own. I have used these Cool Straws for my fruit/protein powder milkshake, which is rather thick in consistency, and can confirm that not only do they work well, they are also very easy to wash afterwards. They even come apart to facilitate washing. I also love the soft texture of the mouthpiece, as opposed to some thin, hard plastic with a sharp contour. Much safer for children. 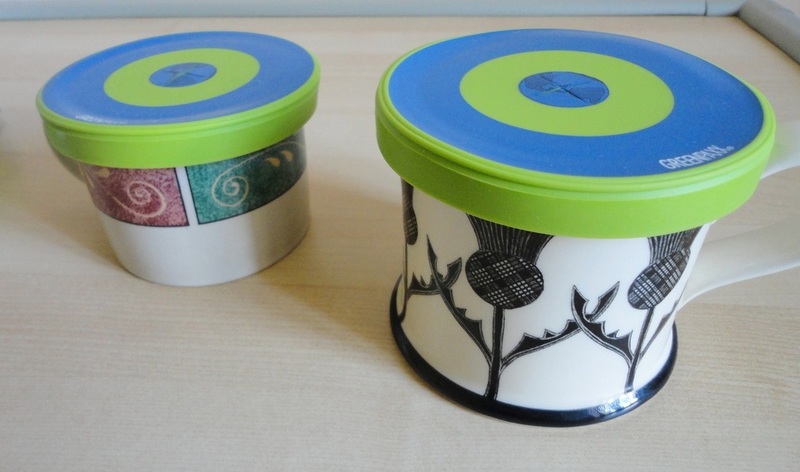 They are also perfectly matched to the universal lids, also sold by GreenPaxx. I received a sample product for evaluation. 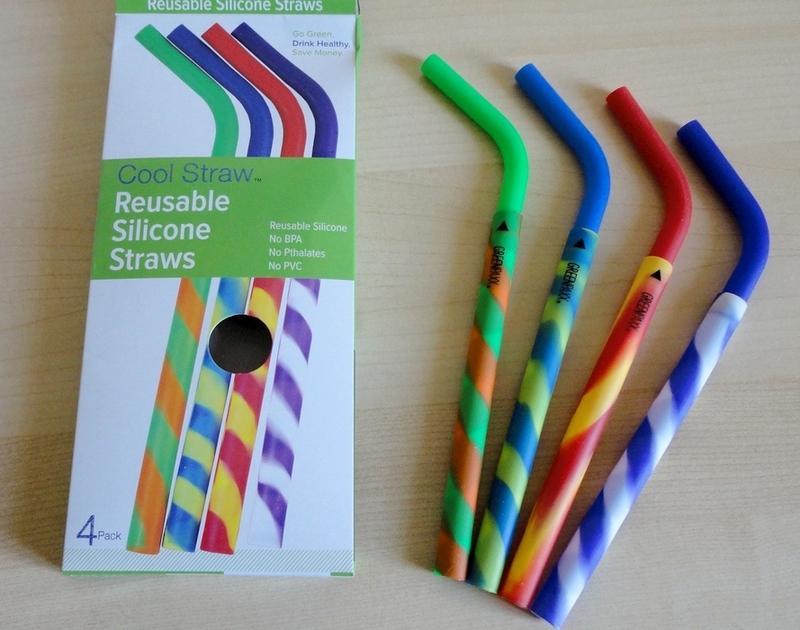 After a suitable test period, all I can say is that I love everything about these straws and am happy to recommend them. 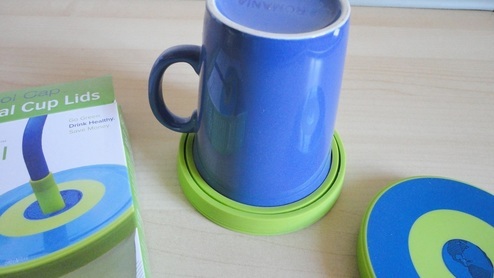 I was a little sceptical but these soft, stretchable silicone lids really fit just about every cup and glass I have tried them on. The soft silicone and double groove accommodate different diameters and provide a pretty good seal. I like the flexibility of being able to use these for both cold and hot drinks. How often has a cup of coffee tipped over and ruined a keyboard? I like to put one of these lids on my “power shake” when I'm exercising out in the garden to stop bugs taking a swim, and to keep the mix fresher (especially when I use fruit). Also very useful to seal my bed-side glass of water, instead of having a whole bottle on hand. A sample box was provided to allow me to test this product. Now that I have started to use these clever, versatile lids, I can't think of anything else that does the same job, or does it so well. I like them just as much as the straws.